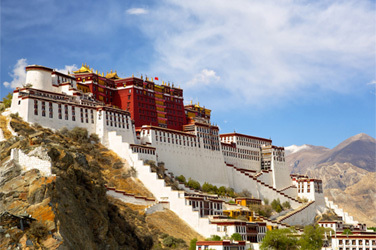 Tours in Tibet is offers best travel activities take you deep into the wonders and present you the history, culture and beautiful mountain of Tibet. Tibet (Xizang), the Roof of the World, remained unknown to the world until the beginning of the 20th century. The massive, snowy land has exerted an awesome draw on travelers and adventurers ever since. Its majestic scenery, mysterious and exotic religious culture, and wonderful people, reward every tourist with an indelible life long memory. Tibet (Tibet Autonomous Region) borders Xinjiang, Qinghai, Sichuan and Yunnan internally while India, Burma, Bhutan, Sikkim, and Nepal meet its external borders. It covers a massive 1,220,000 square kilometers, which is about 12.8 % of the whole of China. With an average height of 4,000 meters above sea level, Tibet is encompassed by some of the world's highest mountains. The Himalayas to the south, the Karakoram to the west, and the Kunlun to the north are the dream lands of all adventurers and mountaineers. The vast land is also the cradle of several great rivers such as the Yangtze River, the Yellow River, the Nu River (Salween), the Lancang River (Mekong), the Brahmaputra (Yarlong Tsangp), the Indus, and the Ganges. Tibet also offers awe-inspiring scenery of beautiful lakes and valleys. Over 1,500 lakes including Heavenly Namtso Lake, Dharma Lake and the holy Lake Manasarovar make Tibet the plateau with largest amount of lakes. Without irrigation and nurturance of these rivers and lakes, the surrounding lands may not flourish. If you are interested to explore Tibet please let us know your holiday plan schedule or select your own program to make it on your Holiday period then we propose you best quotation and we let you know the possibility. The Tibet tours program itinerary that we will create short and long within your demands and service that we offers deluxe, standard or budget. Please let's to know your estimate budget that we can make it enough.